In the fall of 2014, Joe and I started a conversation about the possibility of a small scale walnut harvest. 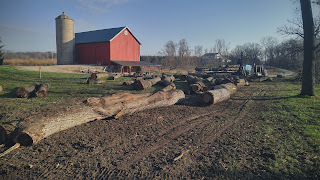 We had some great walnut trees that had hit maturity and some up-and-coming trees that could use the extra sunlight. Time for action! Our first step was to walk the woodlot with our forester, John. 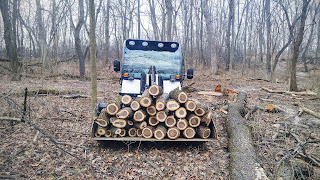 We walked the woodlot deciding the fate of the walnut trees. 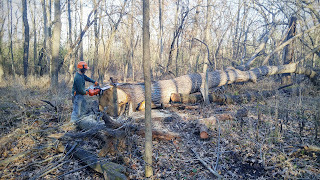 Three measurements were conducted at each perspective tree; diameter at breast height (dbh), the number of saw logs in each tree, and finally board feet per tree. John sent off this inventory to interested loggers who than had a chance to win the job via a sealed bid process. Both the tree farm and the winning bidder were hoping for a spring harvest, but the weather didn't cooperate. So on November 9th the logging began! The logging operation was a three man crew. Two cutters, who were responsible for dropping and limbing the trees. 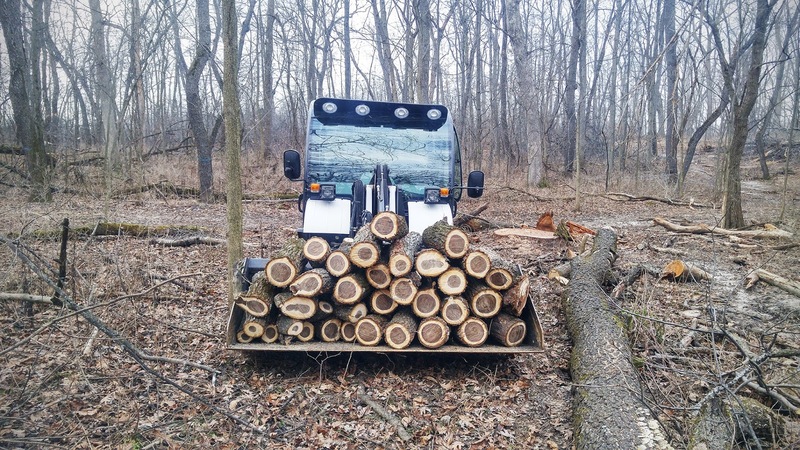 A third person drove the logs to the landing with a log skidder. 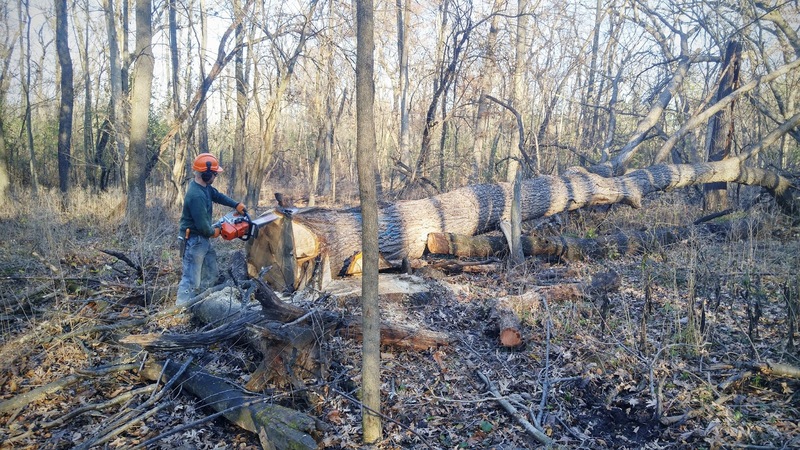 Once all the logs were skidded to the landing, the loggers were able to closely inspect each and cut it to an appropriate length. 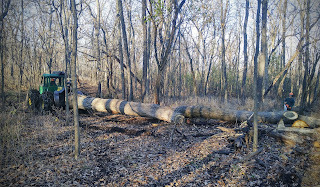 They then contacted a buyer who came and inspected the cut-to-length logs. The buyers in turn, arranged for the logs to be hauled away from the landing. After that the work is all mine! 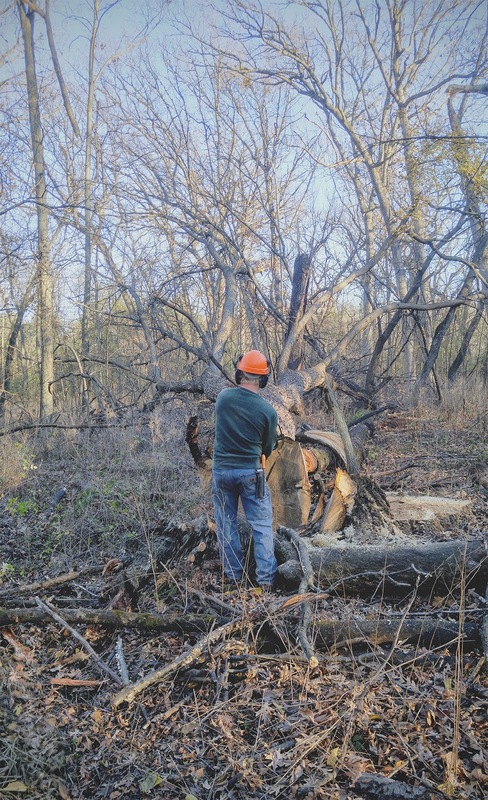 We are doing timber stand improvement (TSI) along with cleaning up the walnut tree tops. 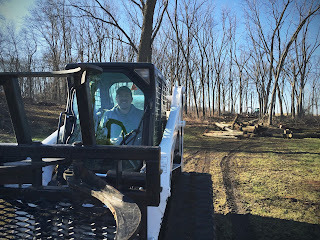 The tree tops will be cut into firewood for the shop boiler, and smaller diameter saw logs that we can use for our own lumber needs. 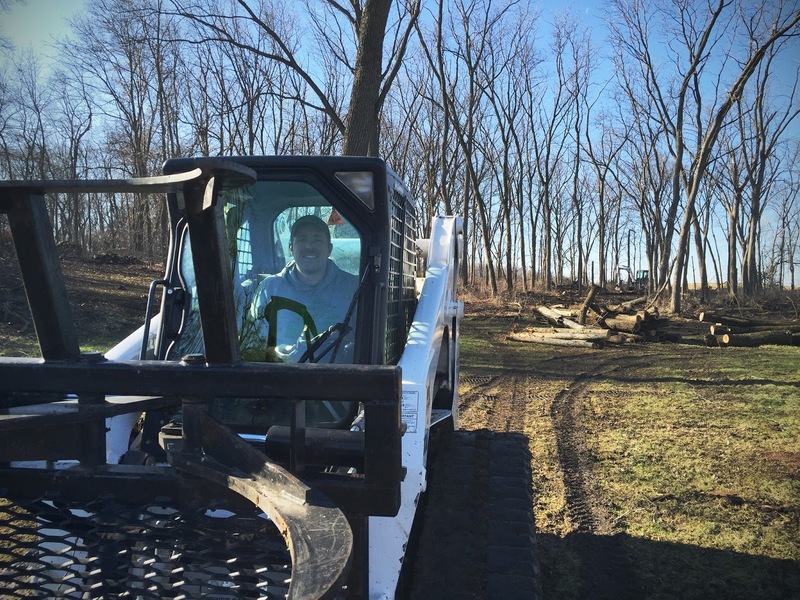 The TSI work includes using the tree shear on the bobcat to remove elm, box elder, and buckthorn. 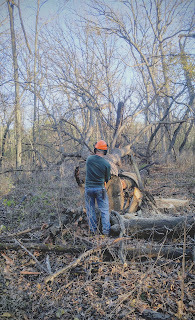 Rachel and I will be chipping the trees removed during TSI and the slash (left over debris) from the timber harvest. 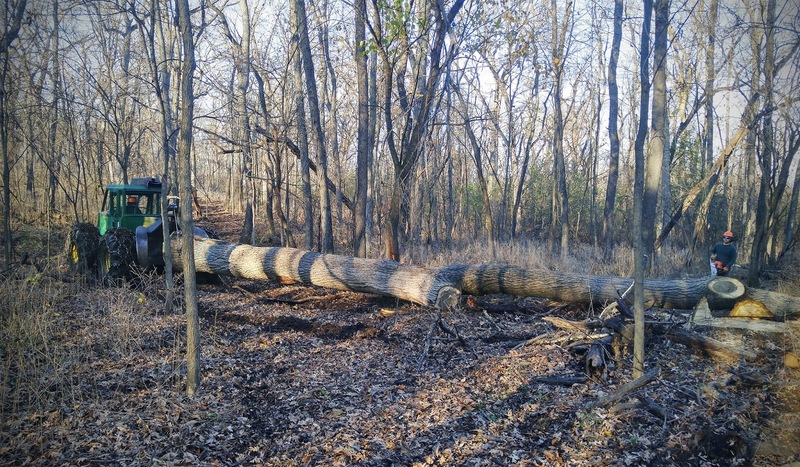 We hope to add trails and hand plant both black walnut and oak in the newly created openings of canopy. Stay tuned for updates. Thank you for this wonderful post to share. There are some great walnut trees that had hit maturity and some up-and-coming trees that could use the extra sunlight. If you want essay related topic you can go for write my paper will get better result.